You can appear smart, eco-friendly, and resourceful to friends, family, and co-workers by celebrating National Biodiesel Day with them this March 18. No doubt they will be impressed with your mad gas knowledge (and so we’re clear, we’re talking about the gas that will help you attract friends, not scare them away). So, let’s kick it biodiesel style! For the math-impaired, that amounts to quite a lot. Pacific Biodiesel became one of the first biodiesel plants in the U.S.
What are the odds that he would also create something with the same name as him? Watch Josh Tickell's movie "FUEL"
In this documentary, environmental activist and filmmaker Josh Tickell explores alternative energy sources, especially biofuels, as a way for America to break free of its dependence on foreign oil. If you’re more interested in movies with “stars” in them, it’s worth mentioning that Larry Hagman, Richard Branson, Willie Nelson, Sheryl Crow, and Woody Harrelson all make appearances! You’ve used his fuel, now see the dramatic recreation of Rudolf Diesel’s life in this 1942 German biographical film. If you don’t speak German, turn on the subtitles. It’s actually possible to take used vegetable oil, which is used to make French fries and other delicious fried foods, and recycle it into environmentally friendly biodiesel. While you shouldn’t try doing this at home, having some fries to salute the gas the drives the world is a yummy option. In an interview with Sustainable Style Foundation, actress Daryl Hannah said she uses biodiesel to fuel her 1983 Chevy El Camino. “It gets us off of our dependency on fossil fuels and foreign oil as well so we don’t have to go to war for oil," she explained. In short, make biodiesel, not war. 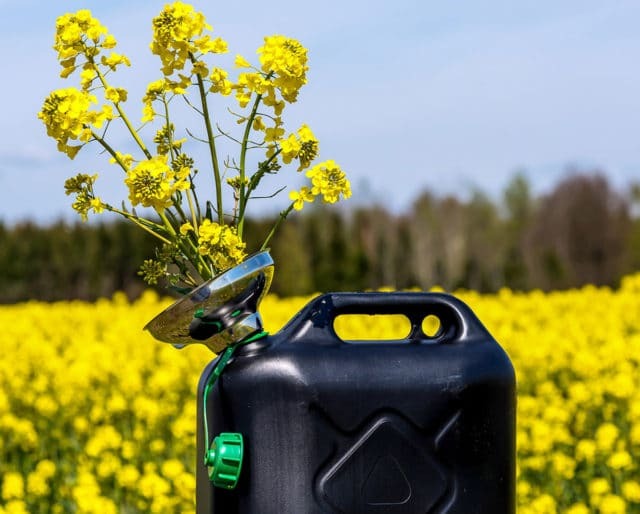 Trucks, tractors, boats, shipping equipment, irrigation systems, mining equipment, electrical generators, diesel-powered cars and all the many systems that use diesel also enjoy a Venti-sized order of biodiesel to make them go. We’re more reliant on biodiesel fuel than we realize, so why not dedicate March 18 to show your appreciation? Rudolf Diesel was an inventor and mechanical engineer who created the diesel engine. He also happened to disappear in 1913 and was found dead under mysterious circumstances. There’s no better time to salute the man whose invention led to engines that power agricultural machines, submarines, ships, and much later, locomotives, trucks, and many modern automobiles.